Home / Want to make a flower? Sometimes there is a project hiding inside of a project. OK, in my world there’s always a project hiding inside of a project but that’s another story. This time it’s a fun project that was hiding inside another fun project! Woo Hoo! 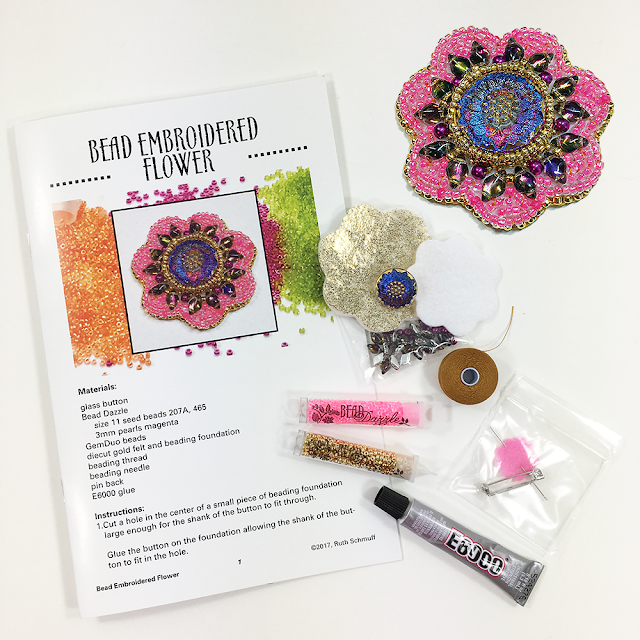 Would you like to learn how to make this pretty sparkly flower? It has a Czech button in the center and all sorts of fun beads surrounding it. 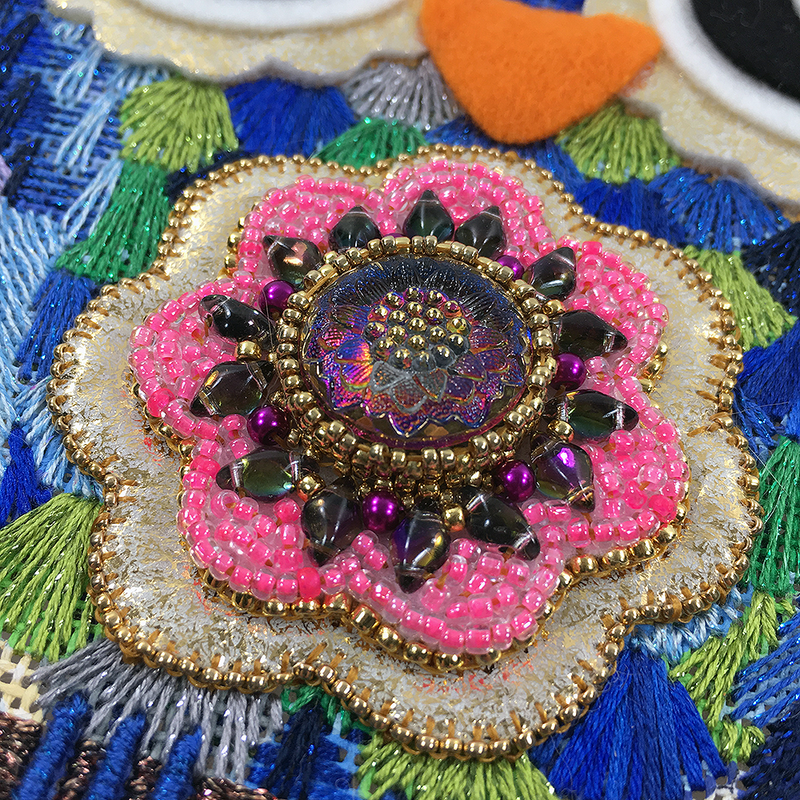 With this kit you will learn how to bezel a button, embellish it and finish the edges. From there, you can turn it into a fun pin, applique it onto clothing or use it on your needlepoint. This all started with our last mystery class. The Owl with Key by Sandra Vargas. The owl has a sparkly flower on her tummy. That’s when it came to me. We should bead embroider the flower! And so we did. The flower was a super fun project hiding inside of the larger fun project. 🙂 We had many requests for kits for the flower and are happy to make it happen. 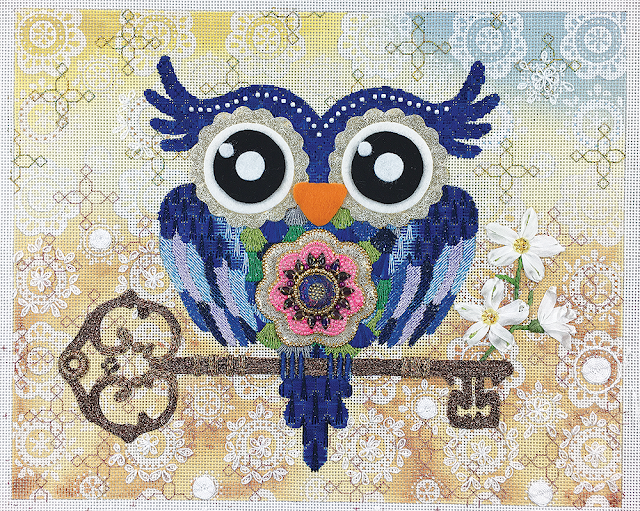 You can order your Beaded Flower Kit here, or maybe you want to stitch the entire Owl. He can be ordered here. Hope you are having lots of sparkly stitchy fun.